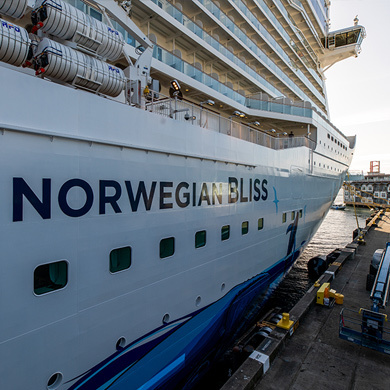 Bliss is the newest cruise ship in Norwegian Cruise Line fleet. 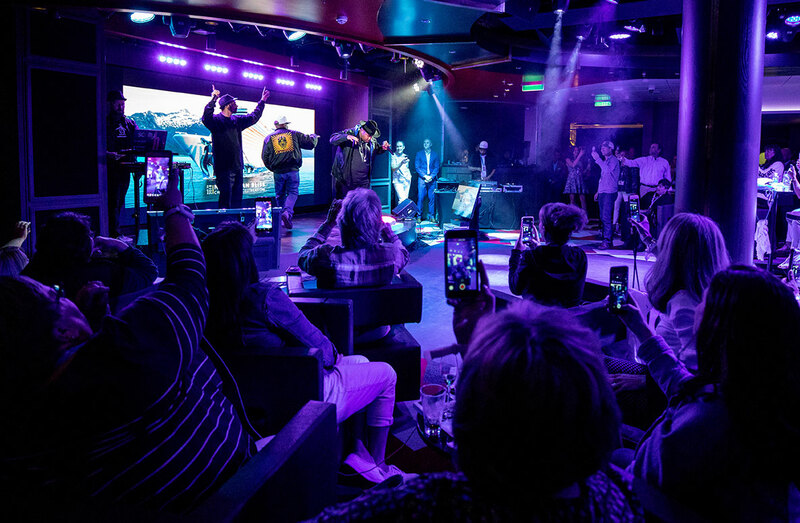 Norwegian Cruise Line asked us to create an interactive event over multiple days and ports, akin to a high production value live TV show throughout the ship for thousands of travel industry influencers, loyalty members and VIP media. 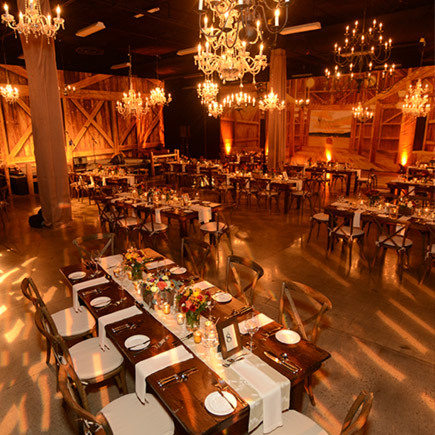 The spectacular Seattle skyline served as backdrop for an inspiring culminating event. Manage multiple spaces, each with broadcast quality production support. 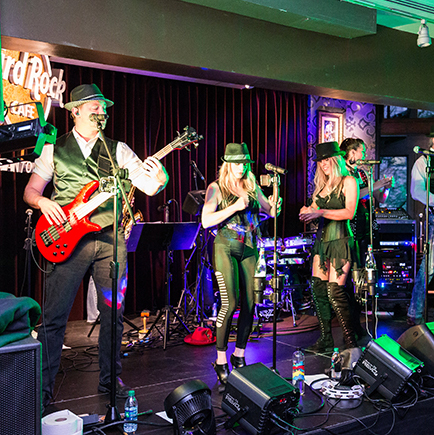 Organize a variety of headline entertainment on land, sea and the air. 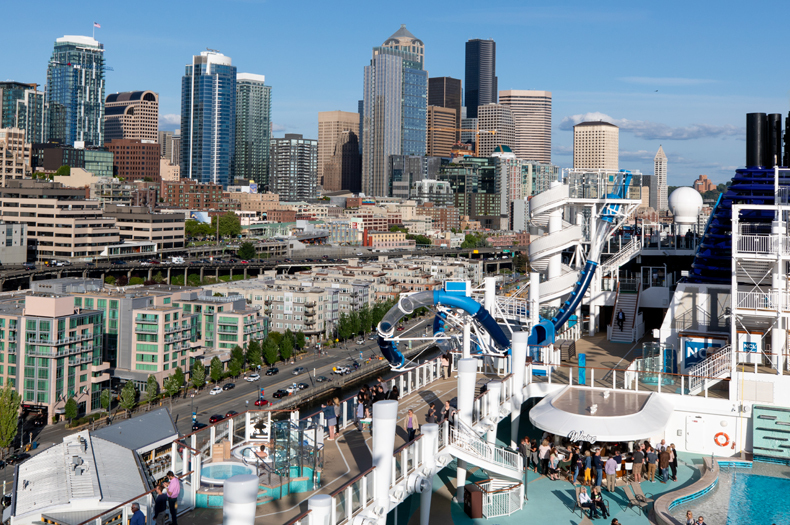 Coordinate press events that would not overshadow an authentic VIP guest experience… all directly following the ship’s arrival into the Port of Seattle. 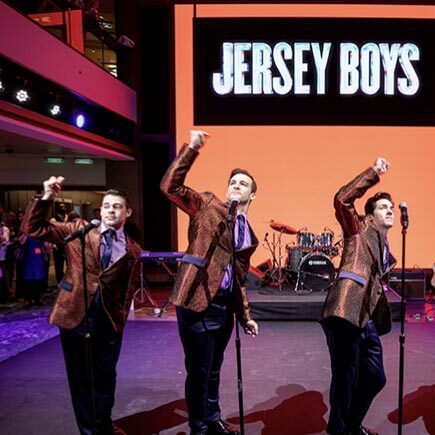 We coordinated six, concurrent ship christening ceremonies with high-end entertainment and celebrity hosts across all the ship’s premier venues. 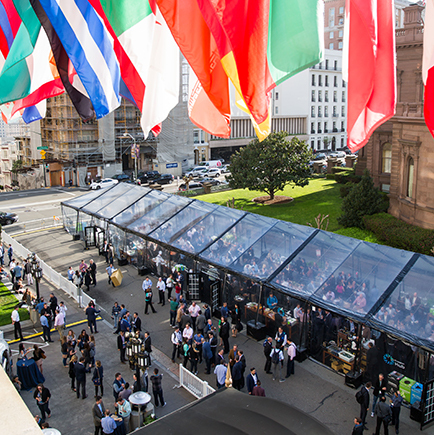 This “wow” element was the finale for the press event and delivered headlines across the industry media landscape. 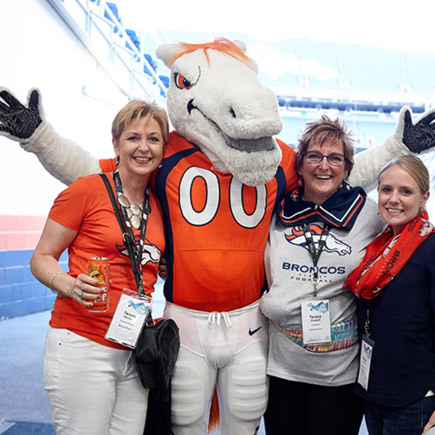 The energy in the venues stayed high as the live-feed built excitement and competition for the most energetic room in a first of its kind industry event. Skydivers executed a surprise jump, landing right next to the ship. 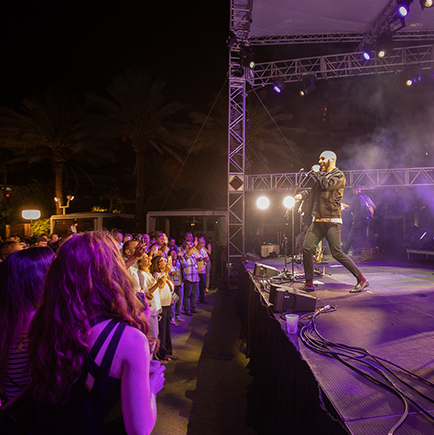 Each venue across the ship hosted a different big name entertainment act, such as Train, Gloria Gaynor and Sir-Mix-a-Lot. The simultaneous shows were broadcast on a live feed throughout the ship — a first for a ship christening.